A business is an entity that is formed in order to carry out activities for the purpose of generating revenue. It involves managing people to organize and maintain a collective effort toward accomplishing a particular creative or productive goal. The term may refer to general commercial, professional, or industrial activity. The singular usage of the term refers to a particular company or corporation, wherein individuals organize based on expertise and skills to bring about social or technological advancement. The generalized usage refers to a particular market sector, "the computer business" or "the business community," and the particular community of suppliers of various goods and services. With some exceptions, such as cooperatives, non-profit organizations, and various government institutions, businesses are formed to earn profit and increase the personal wealth of their owners in exchange for their work and expense of time, energy, and money. In addition to different types of activity, such as manufacturing, service, retail, and so forth, there are also various forms of business organization, with different legal characteristics. 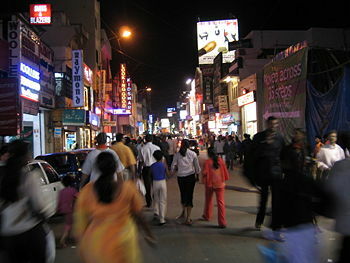 As human society has moved toward increasing globalization there have been significant impacts on the world of business. One of the significant impacts is the interface with ethics, as doing business in different parts of the world challenges those involved to respond appropriately to more than one set of cultural and legal expectations. 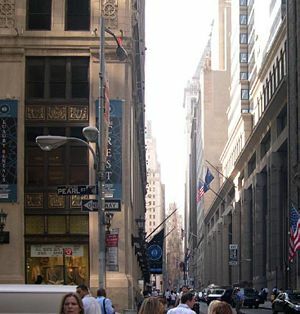 Wall Street, Manhattan is the location of the New York Stock Exchange and is often used as a symbol for the world of business. Sole Proprietorship: A sole proprietorship, or individual proprietorship, is a business owned by a single person. The owner may operate alone or may employ others, but retains all the profit and total and unlimited personal liability for the debts incurred by the business. Partnership: A partnership is a form of business in which two or more people operate for the common goal of making profit. They may receive different shares of the profits, depending on their investment or contribution. Each partner has total and unlimited personal liability of the debts incurred by the partnership. Cooperative Business: A cooperative business, or co-op business, uses an integrated business structure with members of the co-op sharing decision-making authority, profits, and liability for debts. Co-ops normally fall into three types and include consumer co-ops, producer co-ops, and worker-owned companies. Private Limited Company: Private limited companies are small- to medium-sized businesses that are often run by a family or small group of owners. Owners and managers draw salaries and are only liable for the business up to the amount that they have invested in the company, and are not liable for the debts incurred by the company unless signing a personal guarantee. Public Limited Company: A public limited company includes any business with limited liability and a wide spread of shareholders. Owners and managers are hired by and receive salaries from the legal incorporated entity that constitutes the business. They are only liable for the business up to the amount they have invested in the company, and are not liable for the debts incurred by the company unless signing a personal guarantee. In the United States, any "limited company" can also be known as a corporation or limited liability company. Manufacturers produce products, from raw materials or component parts, which they then sell at a profit. Companies that make physical goods, such as cars, computers, or clothing, are considered manufacturers. Service businesses offer intangible goods or services and typically generate a profit by charging for their labor. Income is produced by the rendering of personal service. Service businesses can include home repair, education, dentistry, accounting, and plumbing businesses. Retailers and distributors act as middlemen in making goods produced by manufacturers available to the intended consumer, generating a profit as a result of providing sales or distribution services. Most consumer-oriented stores, including chain stores, department stores, as well as mail-order businesses are distributors or retailers. Financial businesses include banks and other companies that generate profit through the investment and management of capital. Franchising is a form of business in which an individual or small business, known as a "franchisee," is given the right to use the identity, and sell the products or services of, another firm known as the "franchisor." The chances of success for the franchisee are high since the business is already established and successful, but a small portion of the profits must go to the franchising company. Many popular "fast-food" restaurants are franchises. The study of the efficient and effective operation of a business is called management. The main branches of management can include financial management, marketing management, human resource management, strategic management, production management, customer service management, information technology management, and business intelligence. The simplest form of business to manage is the partnership. Under business partnerships, each partner is involved in the management of the firm’s business unless recognized as a limited partner. The management of corporations often allows for company shareholders to elect a board of directors responsible for the management of the firm’s affairs via majority rule. Under such organizational schemes, general managers are often elected. Other positions may include a business president, vice president, treasurer, or secretary. Public investment is often a large source of funding for new or expanding business operations. Business growth necessitates increased funding and a larger number of company shareholders. In large American companies, the number of business shareholders may exceed more than 100,000. Though a large amount of company shares may be held by an individual of great wealth, the total amount of large company stock is often so large that even the wealthiest of shareholders will hold no more than a fraction of the total available shares. Shareholders always retain the option to sell their shares; if enough shareholders do so, the price of the company stock may depreciate. Company managers often seek to appease the majority of company stockholders in order to maintain price levels and raise capital through the issue of new stock. In times of business hardships, a company may be merged into a more successful company in order to avoid bankruptcy. Businesses can also be bought and sold. Business owners often refer to plans of business disposal as exit plans. Many businesses evolve in response to changing markets. Firms that serve different markets exhibit great differences in technology, structure, and business practices. Corporations are often under competitive pressures to modify, reinvent, or rediscover products that will increase consumer demand and improve annual revenues. Successful business management often focuses on stable product–market relationships to foster economic growth and market development. Such relative market control endows corporate executives and officers with considerable discretion over resources and, in turn, with considerable market powers. 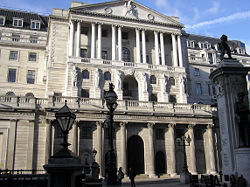 The Bank of England on Threadneedle Street, London, England. Most legal jurisdictions specify the various forms that a business can take, and a body of commercial law has developed for each type. The major factors affecting how a business is regulated is usually defined by the size and scope of the business, and its anticipated type of management and ownership. A business which wishes to raise money on a stock market or to be owned by a wide range of people will often be required to adopt a specific legal form to do so. Different business structures are also treated differently in tax law and may face different disclosure and compliance requirements. According to business structure, some enterprises may also be required to make more or less information public when reporting to relevant authorities. Many businesses are operated through a separate entity such as a corporation, limited partnership, or limited liability company. Most legal jurisdictions allow people to organize such an entity by filing certain charter documents with the relevant authorities. The relationships and legal rights of shareholders, limited partners, or members, as the case may be, are governed partly by the charter documents and partly by a law of jurisdiction where the entity is organized. Shareholders in a corporation, limited partners in a limited partnership, and members in a limited liability company are often shielded from personal liability for the debts and obligations of the entity, which is legally treated as a separate body. Unless misconduct occurs, the owner's own possessions are strongly protected by law if the business does not succeed. The terms of a partnership are partly governed by a partnership agreement, if signed, and partly by a law of jurisdiction where the partnership is located. No paperwork or filing is necessary to create a partnership, and without an agreement, the relationships and legal rights of the partners will be entirely governed by the law of the jurisdiction where the partnership is located. In deciding how to operate a business, general partners in a partnership, other than a limited liability partnership, and all those who personally own and operate a business without creating a separate legal entity, are personally liable for the debts and obligations of the business. In most countries, there are laws that treat small corporations differently than large ones. They may be exempt from certain legal filing requirements or labor laws, have simplified procedures in specialized areas, and have slightly different tax treatment. In order for a business to "go public," or to allow a part of a business to be owned by a wider range of investors or the public in general, a business owner must organize a separate entity, which is usually required to comply with a more strict set of laws and procedures. Most public entities are corporations that have sold shares, or public limited liability corporations that sell shares. Most commercial transactions are governed by a very detailed and well-established body of rules that have evolved over time for the governing of trade and commerce. Laws also exist to govern the treatment of labor and general relations with employees, health, safety, and protection issues, anti-discrimination laws, minimum wage laws, union laws, and workers compensation laws. In some specialized businesses, there may also be licenses that require special education. Professions that may require special educational licenses range from law and medicine to aviation and the selling of liquor. Local jurisdictions may also require special licenses and taxes just to operate a business without regard to the type of business involved. Some businesses are subject to ongoing special regulation. These industries include public utilities, investment securities, banking, insurance, broadcasting, and health care providers. Environmental regulations are also very complex and can impact many kinds of businesses in numerous specific ways. When businesses need to raise funds, or capital, more laws come into play. A highly complex set of laws and regulations govern the offer and sale of investment securities, the most common means of raising money in most Western businesses. These regulations can require the disclosure of specific financial information about the business and business owners. Most investment transactions are potentially subject to these laws, unless a special exemption is available. Capital may be raised in many ways through private means, by an initial public offering (IPO), or on a stock exchange. Most countries with capital markets have at least one major stock exchange. Major stock exchanges include the New York Stock Exchange and NASDAQ, the London Stock Exchange, and the Tokyo Stock Exchange. Businesses that have gone public are subject to extremely detailed and complicated regulation about their internal governance, such as how owner compensation is determined, and when and how information is disclosed to the public and their shareholders. In the United States, these regulations are primarily implemented and enforced by the United States Securities and Exchange Commission (SEC). Other Western nations have comparable regulatory bodies. Today, business laws have become so numerous and complex, that no business lawyer can teach them all, forcing increased specialization among corporate attorneys. It is common for teams of attorneys to be required to handle certain kinds of corporate transactions due to the sprawling nature of modern regulation. Commercial law spans general corporate law, employment and labor law, healthcare law, securities law, tax law, food and drug regulatory law, intellectual property law, telecommunications law, and more. The term business model describes a broad range of informal and formal models that are used by enterprises to represent various aspects of business, such as operational processes, organizational structures, and financial forecasts. A business model is a conceptual tool that allows for the expression of that business's logic. It is a description of the value a company offers to one or several segments of customers and of the architecture of the firm and its network of partners for creating, marketing, and delivering this value to generate profitable and sustainable revenue streams. When designing a new business, the model it uses is likely to be a crucial factor in its success. Business models are designed to identify a potential market, define the generation of a business’s revenue, and to formulate a competitive strategy in order to produce a profit. Such models often seek to answer the following questions: Who pays? For what? To whom? And why? Business models designed for new enterprises are often flexible as young business priorities tend to vary with market changes. A business model should describe exactly how a business plans to generate revenue by transforming inputs into outputs. The oldest and most basic business model is the shopkeeper model, which involves the set up of a business in a certain location where potential customers are likely to shop. The "bait and hook" business model, introduced in the early twentieth century, involves the offer of a basic product at a very low cost, often at a loss. The business profit is then made by charging compensatory recurring amounts for refills or associated products or services. Examples include razors and blades, printers and ink, and cameras and prints. Other frequently used models of business include the monopolistic business model, the auction business model, and the pyramid scheme business model. Today, many types of business models revolve around the use of technology; with the addition of technology, many businesses can reach a large number of customers with minimal costs. Business ethics are a form of applied ethics involving the rules and principles of business. Such ethics encompass the various moral and ethical problems that can arise in a business setting and any special ethical duties or obligations that apply to persons who are engaged in commerce. Though the majority of business ethics are dealt with and defined by a business ethics panel, code of ethics, or ethics review board, some political legislation can also serve to define such morals. An example can be seen in the higher tax legislation for higher-emission vehicles. Interest in business ethics accelerated dramatically during the 1980s and 1990s, both within major corporations and within academia. Today, most major corporate websites lay a significant emphasis on their commitment to promoting non-economic social values under a variety of headings. In some cases, corporations have even redefined their core values in the light of ethical considerations. As part of more comprehensive compliance and ethics programs, many companies have formulated internal policies pertaining to the ethical conduct of employees. These policies can be simple exhortations in broad, highly generalized language of a corporate ethics statement, or they can be more detailed policies, containing specific behavioral requirements known as corporate ethics codes. They are generally meant to identify the company's expectations of workers and to offer guidance on handling some of the more common ethical problems that might arise in the course of doing business. The aims of having such a policy include greater ethical awareness, consistency in application, and the avoidance of ethical disasters. An increasing number of companies also require employees to attend seminars regarding business conduct, which often include discussion of the company's policies, specific case studies, and legal requirements. Some companies even require their employees to sign agreements stating that they will abide by the company's rules of conduct. In order to find international success, contemporary businesses often need to adapt to the demands of the global marketplace. Some countries, such as the United States, place a significant emphasis on business innovation, while others, such as Japan, focus more on domestic production and manufacturing. Twentieth-century leaders in the global marketplace include the United States' Wal-Mart, France’s Carrefour, the Netherlands' Ahold, and the United Kingdom’s Tesco. When adapting to a worldwide market, many international businesses aim to remove trade obstacles and economic distortions in order to maximize a comparative advantage in a certain goods production. International businesses often undergo three major transitions when globalizing. The first transition is often from a traditional specialized production to a factor-driven production. The second stage moves the business from a factor-driven production to an investment-related production. The third and final business transition moves the expanding business to an innovation-driven production. Each of these transitions requires a different set of policies and strategies from both the public and the private sector in order to ensure business growth and development internationally. As barriers to international investment diminish, global businesses have entered various foreign markets that prove more lucrative and expansive than domestic markets. In order to increase sales, many international enterprises invade untapped markets in expanding and developing countries worldwide. Such expansion often allows various enterprises to reap significant economies of scale due to increased global power. As more businesses globalize and maximize operations, the concept of a traditional business has changed, transforming from a self-contained domestic entity into a world of cross-national trade and investment, increasing instances of interdependent globalization, and transnational corporations. 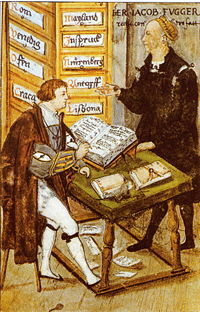 ↑ 1.0 1.1 1.2 1.3 1.4 Encyclopedia Britannica, Business Organization, Encyclopedia Britannica Online. Retrieved January 16, 2008. ↑ North American Industry Classification System, U.S. Census Bureau. Retrieved January 16, 2008. ↑ A. Osterwalder, Y Pigneur, and C. L. Tucci, Clarifying Business Models: Origins, Present, and Future of the Concept, Communications of the Association for Information Systems 15 (May 2005). Retrieved January 16, 2008. ↑ Dennis List, What is a Business Model? Audience Dialogue. Retrieved January 16, 2008. ↑ Charles Hill, Global Business Today (New York: McGraw-Hill, 2004 ISBN 0072537892). List, Dennis. What is a Business Model? Audience Dialogue. Retrieved January 16, 2008. Osterwalder, A., Y. Pigneur, and C. L. Tucci. 2005. Clarifying Business Models: Origins, Present, and Future of the Concept. Communications of the Association for Information Systems 15 (May). Retrieved January 16, 2008. This page was last modified on 21 December 2016, at 22:57.